Final Fantasy XV is a flawed game. So much information was not properly conveyed in the game, or just plain not conveyed at all. The game’s main antagonist, Ardyn Izunia, is one of the games shining stars, but his backstory isn’t really explored in much depth. Like with all the previous character-themed DLC’s, this one delves into the history and personality of its central character. For those who haven’t played the main game and don’t care about spoilers, Ardyn’s true name is Ardyn Lucis Caelum, one of Prince Noctis’ ancestors, who tried to save the world and was betrayed, leading to his intense hatred not only for the gods, but also the Crystal and his entire lineage. He knows that Noctis is the chosen of the gods, and decides to let him assume his full power as the King of Light so that he can defeat him and put an end to his line, and prove to the gods that he is the one true king. Ultimately, Noctis defeats Ardyn, but Ardyn is immortal and can only be killed if the daemonic power that courses through him is purged, and that can only be done in the world beyond, a place only the deceased can reach. In the end, Noctis sacrifices himself and purges Ardyn once and for all, granting him peace, while at the same time ending the Caelum bloodline and taking the light of the crystal with him. Despite all this, we’re never given any sort of concrete motivation, no in depth backstory to explain how this all occurred in the first place. Episode Ardyn, and its accompanying anime prologue, do just that. Ardyn took the Starscourge plague into himself and was loved by the people, much to the envy of his younger brother Somnus. Ardyn was originally chosen by the gods to sit the throne, but because he had become tainted by the plague, his fate was changed, and his eventual clash with Noctis was set into motion when his brother betrayed him, killed his lover, and then killed him, sealing him away for 2000 years. When Ardyn is first brought back into the world by Niflheim forces, he is a pious man, seeking the gods forgiveness and content to live as a humble man. But after forcing the god Ifrit to submit and gaining knowledge in the process, Ardyn decides to seek his revenge against his family and after a few years of gathering strength, he attacks the Lucian capital. After defeating not only the newly crowned King Regis, but also the Lucii-form of his brother Somnus, Ardyn is confronted by the leader of the gods, Bahamut, who denies Ardyn his vengeance, telling him of his true role to spread darkness and eventually die at the hands of the King of Light as a sacrificial pawn. This new addition to the story made me feel more sympathetic to Ardyn as a character. He did what was asked of him as the chosen one, but was then denied his throne due to his impurity that he only obtained from doing the gods bidding. After being betrayed by his family, his thirst for vengeance was justified because his future was taken from him. And then the gods have the nerve to tell him he is to be nothing more than a sacrifice to the next king. The guy just can’t catch a break and I’d want to tell the gods to go screw themselves too. 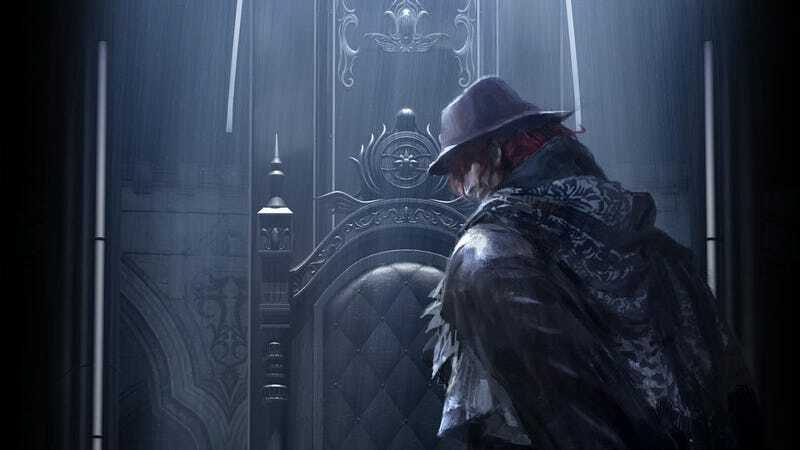 As the final DLC chapter for Final Fantasy XV, Episode Ardyn does a great job of exploring who Ardyn is and why he’s the appealing villain that he is. It’s just a shame that this first step towards a larger goal will not be realized as originally planned. Episode Ardyn was to be the first of four new DLC episodes, the others being Episode’s Aranea, Lunafreya, and Noctis, which would lead to a completely new ending. Due to Square shifting the studio’s focus towards a new next-gen IP, the other three DLC chapters were cancelled. Ardyn would have been as well, but it was too far along compared to the others. Instead, we will now receive the other three stories in the form of a novel titled “Dawn of the Future.” At least we’re still getting these stories and can see how it would have ended, but it’s sad that it won’t be realized in a more visual medium. I can only assume that the story would have leaned heavily in the direction of Noctis, Ardyn, and Lunafreya all opting to deny their appointed fates and finding a different solution to the Starscourge that does not involve any of their deaths.